Here’s a sneak peek at a few ways our creative crafters used some of our products! All these photos were sent in to us by people who would love to share their ideas. So take a look around, and get acquainted with some projects you could use in your own educational space! 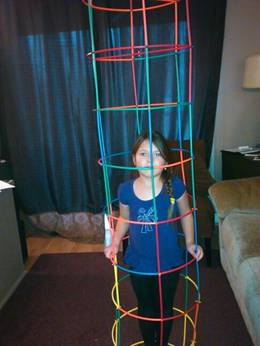 Our first few photos show how the Straws and Connectors were used for building large and tall structures that the kids could climb inside of. We provide each kit of Straws and Connectors with a reference guide for building these kinds of structures and more! Use the diagrams as a basis for designing your own creations. We used the Straws and Connectors structures as the inner designs for our Color Diffusing buildings. We painted large sheets of Color Diffusing Paper with watercolors. Once the sheets were dry, we wove them in and out of the gaps in the design. Check out the beautiful photos of this project at the link! 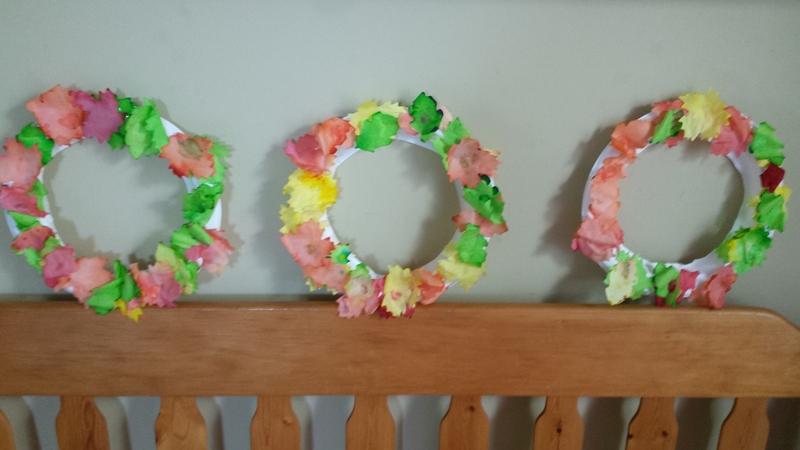 These gorgeous wreaths were made with our Autumn Leaves Paper Bits! The clever design used a card wreath cutout. The crafters then glued the leaves on top. Alternatively, you could use a paper plate and cut out the center to use as the wreath base. The video below shows a basic project you can try with the Autumn Leaves. This simple craft uses construction paper and the leaves to make a 3D-looking tree. Finally, our last photo reveals what this teacher decided to use her pack of Dry Erase Classroom Tunics for! Although the Classroom Tunics can be used for temporary notation–such as using dry-erase markers to write numbers or letters on them–there are many other uses for them! For instance, this teacher laminated circles in different colors and pasted them onto various Classroom Tunics. Using a story about introducing the colors of the rainbow, she had several of her students act out the storyline while wearing the tunics. It’s a great way to engage the class on multiple levels–learning literacy, colors, order and sequencing, and group collaboration! Thanks to our subscribers for sending us photos of their work! If you would like to send us your photos in order to be featured in our next Guest post, please contact us through the contact form! We’d love to hear from you! 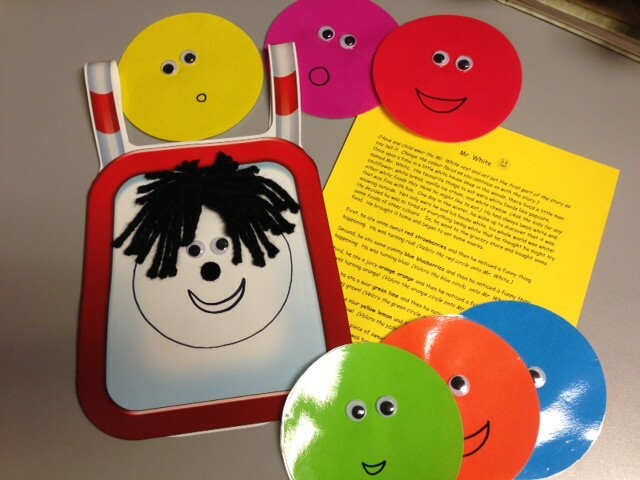 This entry was posted in Art, Crafts by Bloggers, New and tagged building, classroom vests, colors, counting, crafts, dry erase classroom tunics, nature crafts, sorting, straws and connectors, wreath by roylcoblog. Bookmark the permalink.